MADE IN USA – UPF 40+ moisture wicking, 100% breathable polyester mesh or Interlock Light snag resistant fabric. Our very own full dye sublimated H&H Water Camo left sleeve, Hook & Hunt Outdoor Lifestyle logo on right sleeve and back, hook & bullet logo on center chest. 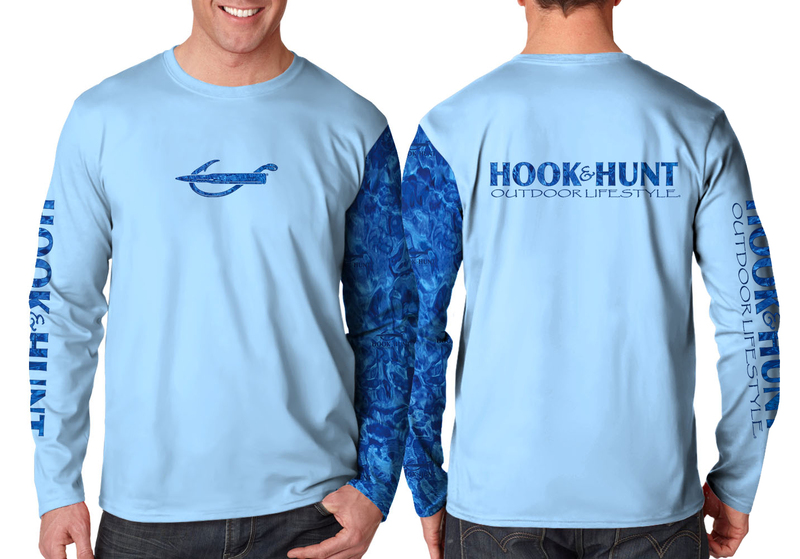 Logos also include our H&H Water camo pattern inside.